Are you looking for local builders to help with a property renovation project? Look no further as you have come to the right place. Elite Property Services (NW) Ltd can help. 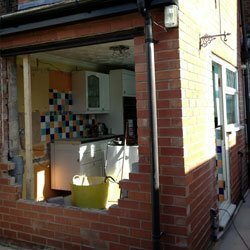 We are a family-run builders company offering a wide range of building and property renovation services in and around Warrington. Elite Property Services (NW) Ltd enjoys a reputation for top-quality services and unparalleled workmanship. You can make use of the services we offer at a fantastic value for money. We are proud of the 100% satisfaction record we have achieved, as we have never received a complaint from our domestic or commercial customers. 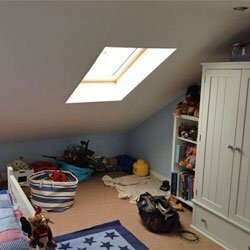 We are able to provide everything from a newly fitted designer kitchen or bathroom, to converting your garage or loft into additional living space. Based in Warrington we serve Stockton Heath, Widnes, St. Helens, Runcorn and the surrounding areas. If you are looking to transform your home, give us call. We can help with general building work, and all types of property extensions and conversion work. We are the local specialists in general building services and structural alterations. If you need professional assistance, contact us today! Whether you are looking to create a culinary hub of your own or need a new bathroom, we can help. 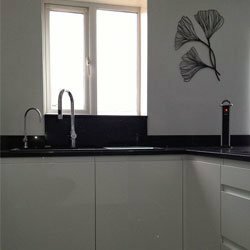 Call us for kitchen and bathroom fitting services.